Many people think of maggots as the creepy, crawly larva of a fly. But maggots go through several of their own distinct life cycle stages before maturing into a fly. In the life cycle of all arthropods, there are several molts, or instars, in which the insect will shed its exoskeleton to evolve into a new form. In the life cycle of the maggot, there are three instars before it reaches its pre-pupa phase. Before the beginning of the first instar, the mature fly will lay more than 300 eggs in a carcass, each one holding a fly larva. Once the eggs are laid, it takes only a single day for them to hatch. During the first instar, the larva migrates into the body (carcass) and feeds on the body fluids. The second instar occurs, only a day after the beginning of the first instar. During the second instar, the maggots huddle together in large masses and work to feed on the tender rotting flesh. The second instar takes only one day to complete. 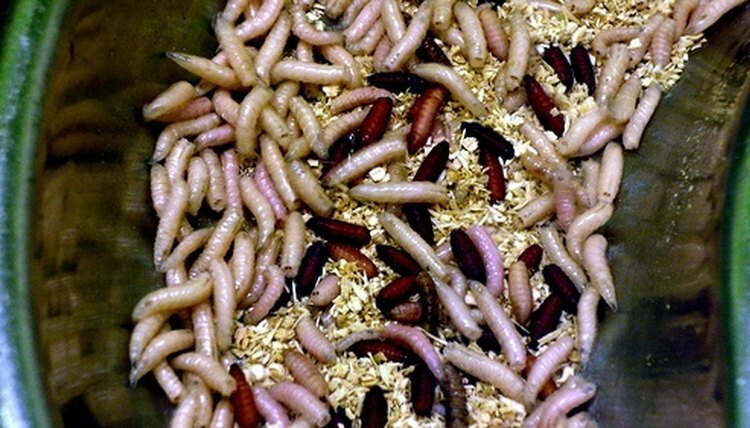 During this period, the maggots still move and feed en masse, but they are also growing exponentially in size. The third instar takes only two days to complete. During the pre-pupa phase, the maggot will migrate away from the corpse to find a more suitable (safe) place to pupate. After four days, the pupa phase begins, and the maggot transforms within its puparium into an adult fly. This stage takes up to 10 days. Once the fly emerges, they are ready to lay eggs of their own within two days.